Other than a couple of meetings, Digital Badges for Professional Development was the first presentation I sat in on while at the SUNY Conference on Instruction and Technology held in Potsdam, NY. 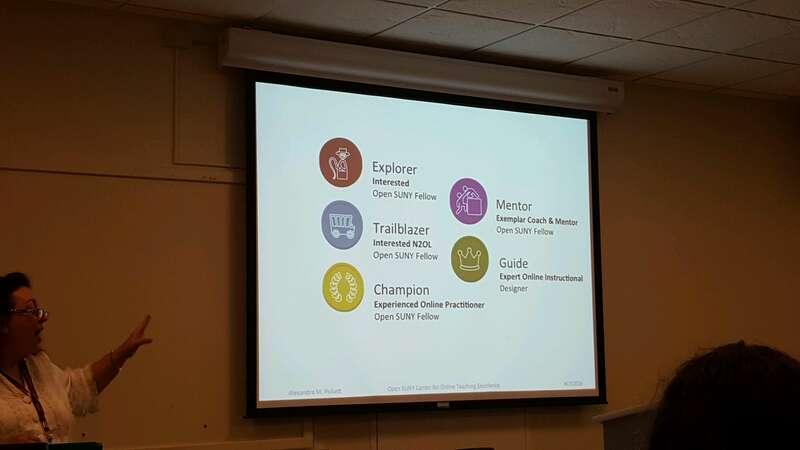 In this presentation, Alexandra Pickett gave an overview of what SUNY was doing to use digital badges to support professional development. 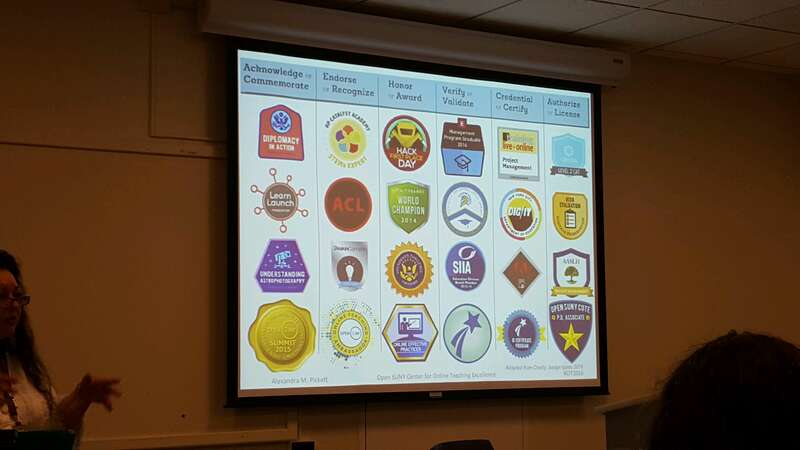 Pickett pointed out that they were managing their badges using Credly. This is the same tool that we are using at Jamestown Community College. So far, they have created 30 badges for distribution. SUNY COTE is currently working a full badge constellation. ” A constellation is a master plan or blueprint that shows all of the badges you intend to offer and how they relate to core themes or to each other.” This constellation would show all the badges available and the paths to achieve each badge. Within my notes, you can see images of different parts of the constellation as it currently exists. 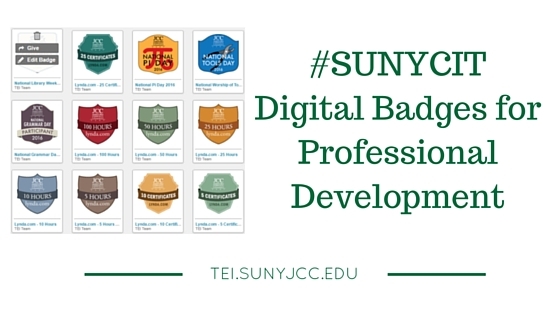 So far, over 1,600 badges have been issued by SUNY COTE. Ninety percent of the recipients have shared their badges on LinkedIn and Facebook. There are many different ways to earn a SUNY COTE badge. You can begin by becoming an Open SUNY COTE Fellow. You can also add to the conversation by joining the badging group on the COTE community. Since we are also experimenting with digital badges, it was nice to see what SUNY COTE had put together. This will provide us ideas for moving forward, as well as, have some professional development activities to point faculty towards.